PTCB Study Guide | Pass Your Pharmacy Tech Exam First-Time! What is the PTCB Pharmacy Technician Certification Exam? The PTCB exam is an exam you need to pass to become a qualified pharmacy technician. The exam name is PTCE – “Pharmacy Technician Certification Exam” – and consists of 90 multiple choice questions. Each question has 4 possible answers, one of which is correct. However, not all questions count toward your final grade. Instead, 10 questions are chosen at random which go unscored. You only receive your final grade based on the 80 “scored questions”. The exam lasts for approximately 1 hour and 50 minutes. You may remain in the exam hall longer because a post-exam survey typically takes place. The PTCB is a comprehensive test, then, that examines your ability to practice as a competent professional pharmacy technician. Our pharmacy technician resources are tailored to help you pass the PTCE exam – quiz questions, flashcards, case studies, infographics, mnemonics and much more. You can learn more about our PTCB study guide below. First, let’s review exam pricing, what you should bring to the exam and what salary you can expect. How much does the PTCE exam cost? Below, we’ve tabulated the 2018 fees for the various PTCE examinations. You can learn more about PTCE fees here. The PTCB exam is an official exam to become a qualified pharmacy technician. As a result, you need to bring some form of photo government ID with you on exam day. Failure to bring appropriate ID will result in your inadmissibility to the exam and lost fees. You should bring no valuables with you. While there is space outside the exam hall where you can place your belongings, the exam center is not responsible for any lost items. You should have nothing in your pockets either. You don’t need to bring any paper with you as supplementary paper is provided before and during the exam. You can learn more about exam day requirements from page 26 of this guide onwards. If I pass, what salary can I expect? Passing your PTCE exam opens the way to a successful career as a pharmacy technician. Pharmacy technicians are in growing demand throughout the United States. There is more demand than ever for qualified technicians who work within the pharmacy environment and cater to the many needs that patients have. Federal government positions pay more than smaller, local pharmacies. The PTCE exam is challenging. That’s why we’ve put together top pharmacy resources to help you pass your exam. Our resources are updated each week – providing fresh, new content that always stays up-to-date with modern medicine. 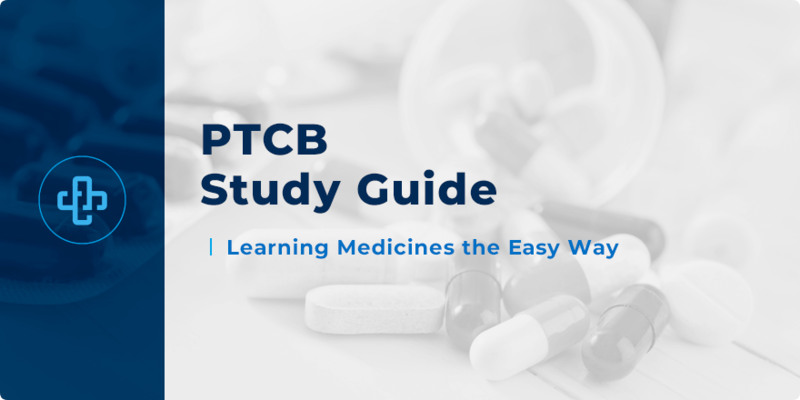 Through our PTCB study guide, we’ve helped thousands of pharmacy technicians pass their exam. With the right approach, the best study materials to hand, and by applying yourself consistently in the weeks and months leading up to the exam – you are guaranteed to pass. Our PTCB study guide goes a considerable way toward that goal. If you have any questions about our pharmacy tech resources, we’d love to hear from you! Fill out our online form today and a member of our team will be in touch very shortly.